For those in the HVAC industry, the importance of staying updated and in tune with current trends in the industry in terms of latest equipment, latest field techniques, industry news among other top important information cannot be overemphasized. Like all industries, the more knowledge you have as an HVAC technician, the better you are able to perform and serve your customers better. One of the best ways to keep up to date with the latest trends and information about the HVAC industry is to regularly check out websites and read HVAC blogs regularly. The challenge, however, is knowing which one is the best from the long list of HVAC blogs available for you to read online. To help you with that, here is a list of 10 HVAC blogs which we have found to be absolutely worthwhile to read. These blogs cover various aspects of the HVAC industry both technical and non-technical. For over 60 years this company has been a top name in both commercial and residential heating ventilation and air conditioning services serving the New York City area. The company blog which was created as a means to engage potential customers by providing potential customers with relevant information and insights into the importance of keeping a healthy HVAC and how to go about it is an important read both for customers looking to hire an HVAC tech’s services as well as for HVAC techs themselves. The blog focuses especially on changes in the industry, provides guides for homeowners as well as the latest industry news for commercial and residential HVAC companies. Arista blog has earned a top HVAC blog medal because readers have found the materials on their blog top quality and quite useful. There are various categories of blog posts from different aspects of the HVAC industry such as commercial air conditioning, commercial installations, residential installations, preventive maintenance agreements among others. ACHR is not only an online platform for latest news from the HVAC industry, there is also a magazine print publication available in hard copy offline. The ACHR blog is loaded with content aimed at engaging HVAC professionals with high-level analysis of industry trends and information from qualified field experts. This is one of the HVAC blogs that not only serve as a reliable source of information, but it is also a provides you with much-needed tips to stay competitive in the ever-growing HVAC industry providing all the information you need about the latest technologies and expert review of software and mobile applications that are important to technicians in the industry which you will find quite useful in running your business. There is also a guest blog where you as an HVAC tech can contribute your own information and knowledge from your field experience and also read content provided by other professionals like you. National Air Warehouse is one of the leading suppliers of air conditioning units and other important HVAC technology. The National Air Warehouse blog tackles important HVAC topics providing much needed and important information for industry professionals as well as homeowners looking to hire HVAC services or purchase HVAC components for their residents as well as for commercial uses as well. The blog features several informative articles and also gives very useful advice on various energy saving options available for home and commercial setups, suggestions for HVAC gifting, as well as information that will help HVAC business owners to build their brands and businesses and boost output for their company. HVAC News covers the top companies in the HVAC industries. Unlike other HVAC blogs that focus on providing product reviews, how-to, and other similar articles this blog focuses on delivering the latest gist in the HVAC industry covering press releases and the latest news from the industry’s most prominent names. You can get the latest news from the top brand names in HVAC, refrigeration, IAQ among others as well as career information from the top ranking brands in the industry. Business owners in the HVAC industry can also find published studies and latest research that can affect industry best practices, trends and techniques. This blog can also serve as a means of sponsoring your business as you can sponsor front page posts on the site for a fee. Born out of Will Housh’s desire to transform his family business into a leading online resource for HVAC technicians and professionals, HVAC.com provides content, directories, videos and other resources that aims to answer many homeowners and professional’s questions about HVAC. It also provides a means for HVAC professionals to learn some important industry tops that will help in the customer engagement and overall service delivery. The blog provides practical advice to homeowners on all they need to know before hiring an HVAC professional, answers to common HVAC related questions, and solutions to regular problems both for homeowners and HVAC technicians. This blog is an extension of the Fort Collins Heating and Air conditioning company. However, the blog goes beyond merely providing information to customers or prospective customers about their company. Instead, there are numerous blog posts that date back to as far as 2013 providing a lot of quality content as well as current quality practices in HVAC upgrading, installation, and maintenance. 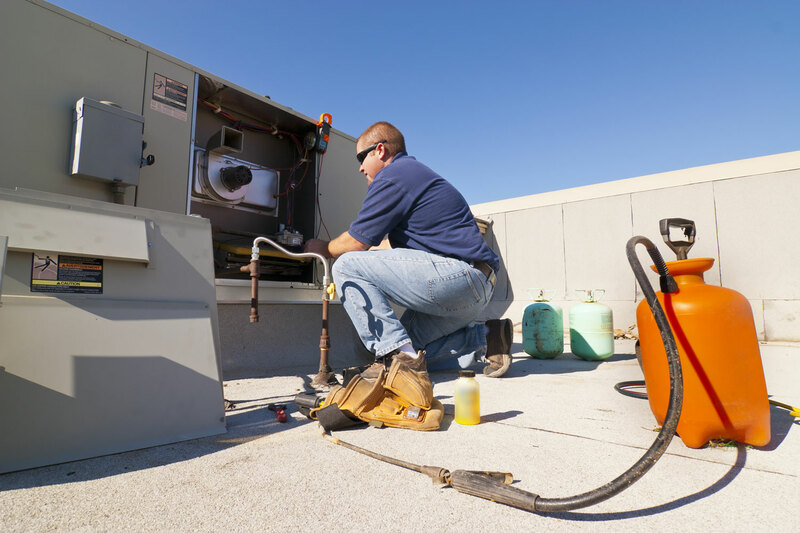 The blog offers various articles on boiler installation and replacement, heat pump repair and maintenance, commercial HVAC repair and maintenance among others. It also offers basic debugging and diagnosis tools for homeowners to identify faults in their various HVAC systems and knowing when to enlist a professionals help. 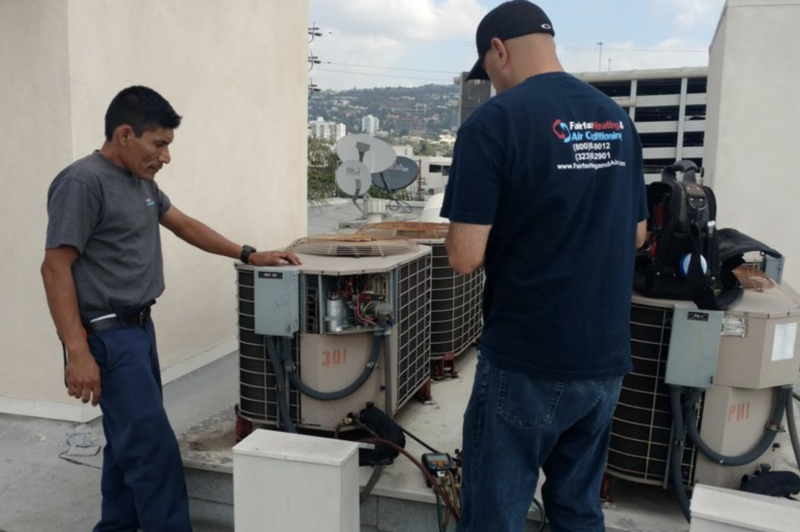 The Air Conditioner Contractors of America (ACCA) is the umbrella group of air conditioning professionals representing up to 4,000 different companies and more than 60,000 industry professionals. There is no better place to get the latest in terms of the latest information and resources concerning industry best practices, latest legislation, and laws for professionals and HVAC companies. There is also industry news and tips to run a successful and lucrative HVAC business based on the latest in market trends as well as political gist as it relates to the HVAC industry. The ESCO group is an organization which includes the ESCO Institute, HVAC excellence, Carbon Monoxide Safety Association, ESCO press international among other associations which serve the skilled trade industry with a direct focus on the HVAC industry. The group provides curriculum accreditation and program accreditation, certifications of various kinds and custom software development among other services, the ESCO group blog is the one-stop online resource which provides information about all the services rendered by the ESCO group. Such HVAC professionals in need of information about educational opportunities and different programs in the HVAC industry will find the ESCO group blog the place to get all the useful resource for it. This is one of the most informative HVAC blogs out there when it comes to continuing education. The Goodway just venting blog is a blog written by professionals and for professionals in the HVAC industry and non-professionals as well. The blog is aimed at providing more information about the environmental, technological, economic, and social aspects of the HVAC business. The blog is targeted directly not just at HVAC technicians but also others like building engineers, facilities manager, cleaning crews, home and business owners and every other person involved in or interested in the HVAC business. This will be one of those HVAC blogs that presents professional thoughts, news, and information about the latest trends in the HVAC industry such as energy efficiency and sick building syndrome among other things that will make work a lot easier for HVAC technicians. It is also a hub for information concerning environmental, health, and legal issues relating to the HVAC industry. The website is also passionate about the environmental impacts of activities in the HVAC industry with special focus on “going green” and its importance in the HVAC business helping professionals and homeowners with environmental friendly trends in their HVAC systems. While other blogs focus on the nuts and bolts (technical aspects of the HVAC industry) this blog provides important tips, information, and insights that help to confront the various challenges that HVAC business owners encounter in running a successful business in such a highly competitive and demanding marketplace. The blog features various articles and posts that offer management advice for running the various aspects of a successful HVAC company such as marketing, handling of HVAC company documents such as invoices, policy manuals etc., as well as other articles readers will find helpful on hiring techs, generating leads, and more. In addition to all the listed blogs and website, HVAC professionals, know that the current state of business in the HVAC industry is currently being revolutionized by software and applications. Smart HVAC technicians are striving to learn as much as they can about how to leverage software and mobile applications to better their service delivery. To do so they need to read blog posts relating to how to make use of the latest online tools. One of the leading HVAC blogs which provide such information is the FieldSurf blog. We are the leading field service management software helping business owners in service industries such as electricians, plumbers, and of course the HVAC industry, to automate all the aspects of their business. The FieldSurf blog apart from providing valuable information to HVAC technicians and business owners about how to use FieldSurf software, also provides other valuable information about other new and innovative tools that technicians in the HVAC and other field service companies can make use of in order to improve their services. It is your one-stop information center on 21st-century trends on how to use HVAC software and applications to improve all aspects of your business. Giving you a competitive edge over your competitors in the industry. Want a free demo? Click the button below.